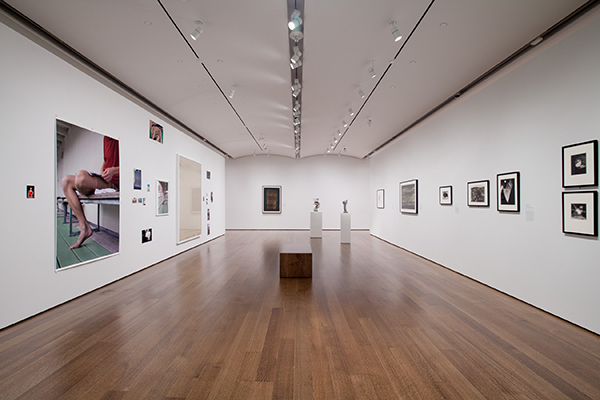 The sculptures in the special exhibition Doris Salcedo: The Materiality of Mourning attest to the Colombian artist’s exhaustive focus on details and her emphasis on handmade materials. 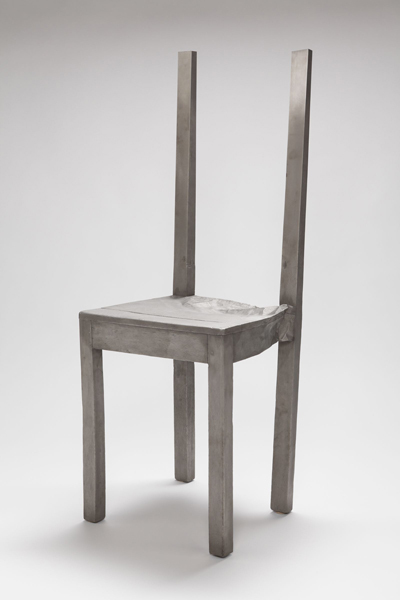 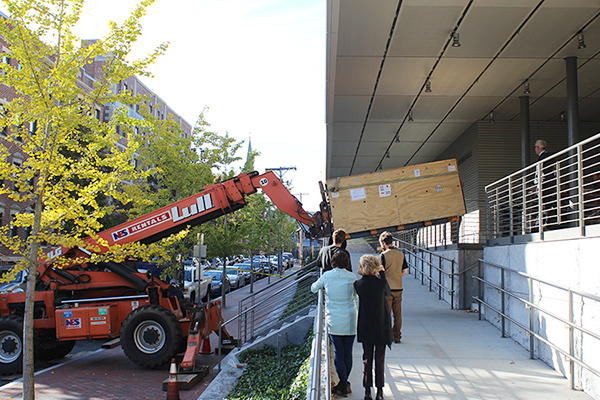 The sheer size and weight of two untitled furniture sculptures in the special exhibition Doris Salcedo: The Materiality of Mourning presented formidable challenges to museums staff. 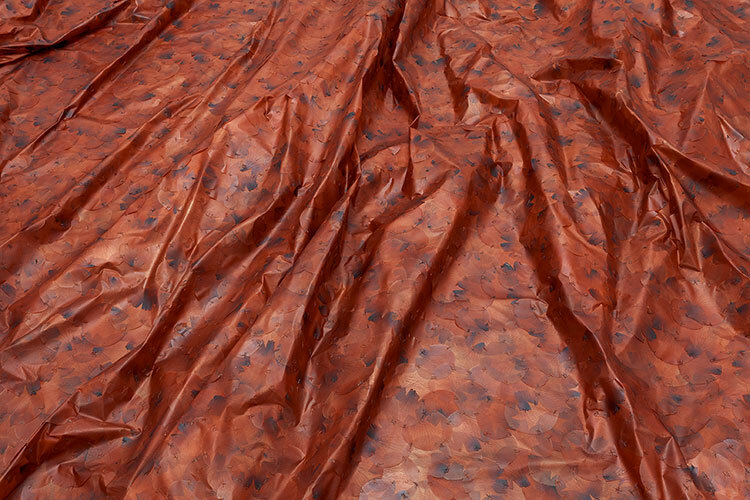 In Cambridge for the opening of our special exhibition Doris Salcedo: The Materiality of Mourning, Colombian sculptor Doris Salcedo sat down with exhibition curator Mary Schneider Enriquez and us to answer a few questions. 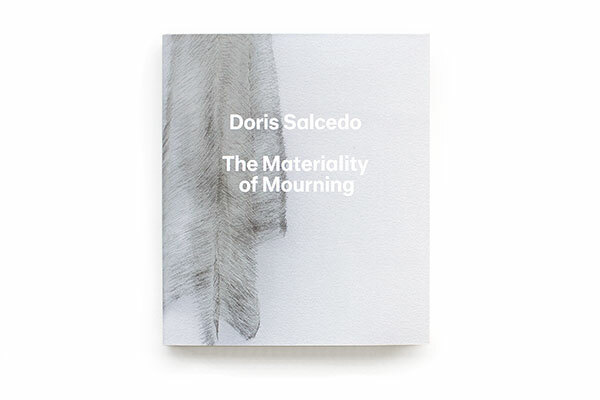 Doris Salcedo: The Materiality of Mourning, a new book complementing our special exhibition of the same name, delves into the unique materiality of works by this contemporary Colombian artist. 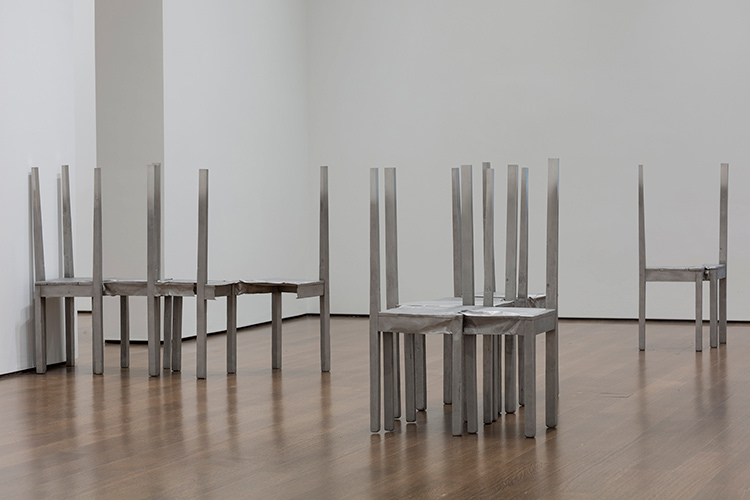 A visit to Doris Salcedo’s studio in Bogotá, Colombia, helped curator Mary Schneider Enriquez to develop her upcoming exhibition of Salcedo’s works. 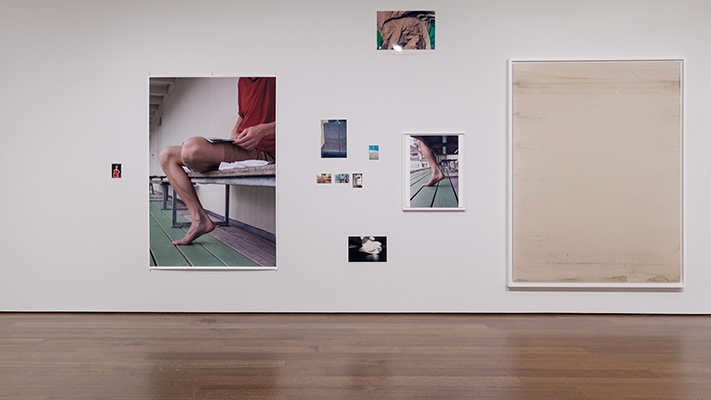 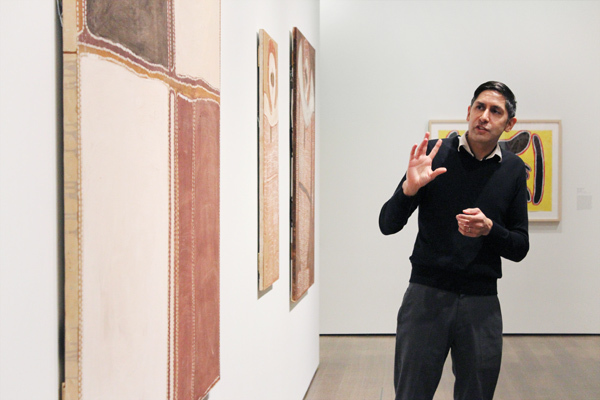 Australian Studies Visiting Curator Stephen Gilchrist spoke with us about Everywhen, an exhibition of contemporary Indigenous art from Australia. 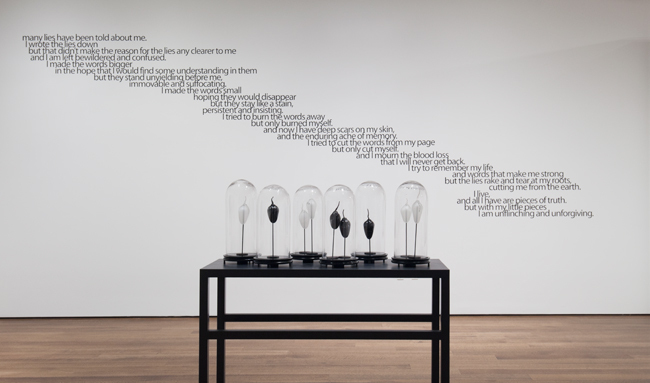 Contemporary artwork with an activist bent is featured in the “Remembrance” section of the Everywhen exhibition.